Why Choose Air Nation For HVAC Services? The HVAC industry is inundated with HVAC companies that seem to pop up overnight. These new companies want to make a quick buck off of your AC misfortune. At Air Nation, we’re setting the bar higher and continue to be a leading voice in our industry. All of our HVAC technicians are highly trained and continue their HVAC knowledge with other certifications and manufacturer classes. They are able to go into any situation and make an assessment that will benefit your HVAC system and your pocketbook. If you’re looking for a reliable company who has been stable in the HVAC industry for more than 15 years and has your best interest in mind, put Air Nation in your contact list today! Why Choose Air Nation For AC Units and Mini-Splits? It’s a terrible thing when your air conditioning just quits. Sure, its temperature hasn’t been as cool and it’s been costing more on your energy bill, but you just haven’t had the time to get it checked out. Now that it has completely stopped working, you need a professional HVAC service company to quickly come in and resolve your HVAC troubles. At Air Nation, we can’t control what happens with mother nature, but we can control the climate within your home. 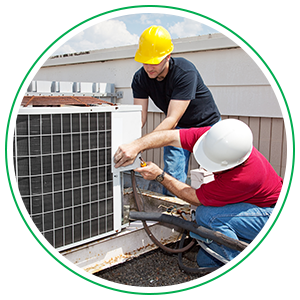 We have technicians available and ready for when your AC unit or mini split goes! We’ll respond promptly and give an up-front price quote so you won’t end up with any surprise charges. A new AC unit or mini split will bring a welcomed relief with cool, brisk air and a higher efficiency system that saves you on your monthly energy bills. Connect with us for information about our HVAC services.